Brought up in the Roman Catholic faith, which he abandoned in 1917 following the death of his father, Poulenc returned to the Church in 1936 after the death of his close friend and fellow composer Pierre-Octave Ferroud. Together these events caused a spiritual crisis in Poulenc�s life which led to a series of important compositions for chorus. 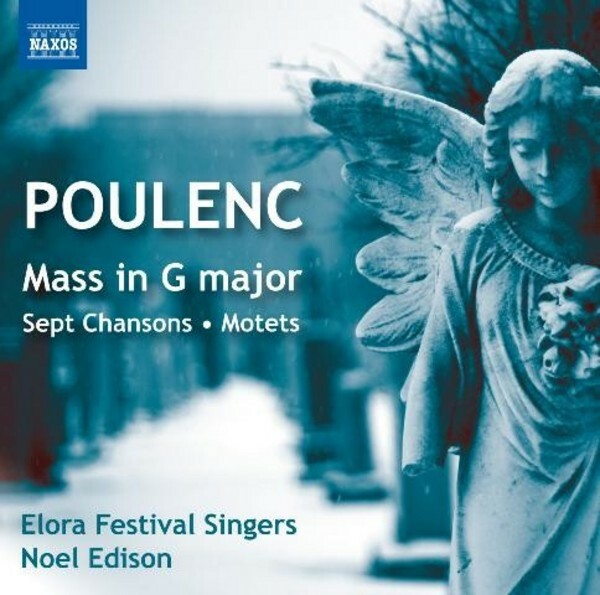 The powerful Mass in G major, dedicated to the memory of his father, is notable for its daring use of tonality, though the playfulness of Poulenc�s �Les Six� period is not absent. In the Sept Chansons, set to surrealist texts, and in the two sets of Motets � both very personal and penitential � Poulenc generates a huge range of emotion.